As if the choices along Katipunan weren’t good enough already (I sound so bitter, I know), Ayala Land decides to open UP Town Center just a few blocks away from Ateneo. 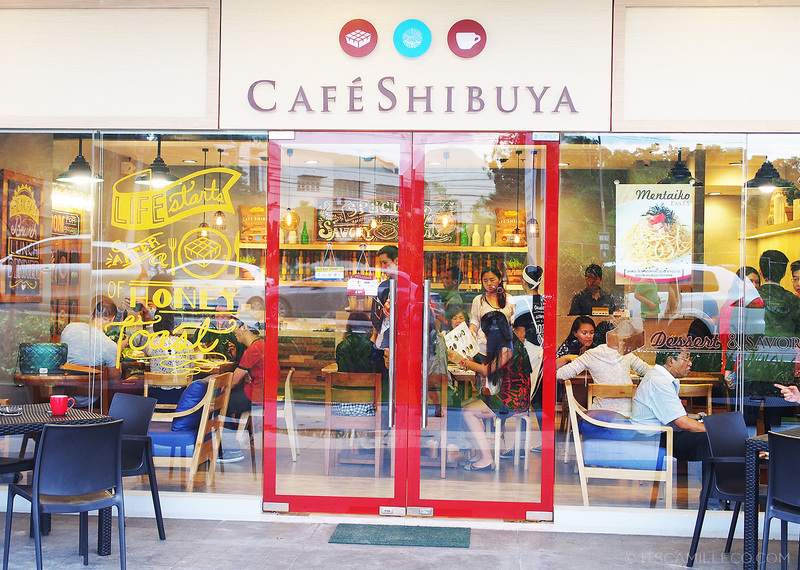 It’s home to a lot of exciting new restaurants including Cafe Shibuya. Sigh. Cafe Shibuya…. where do I even begin? 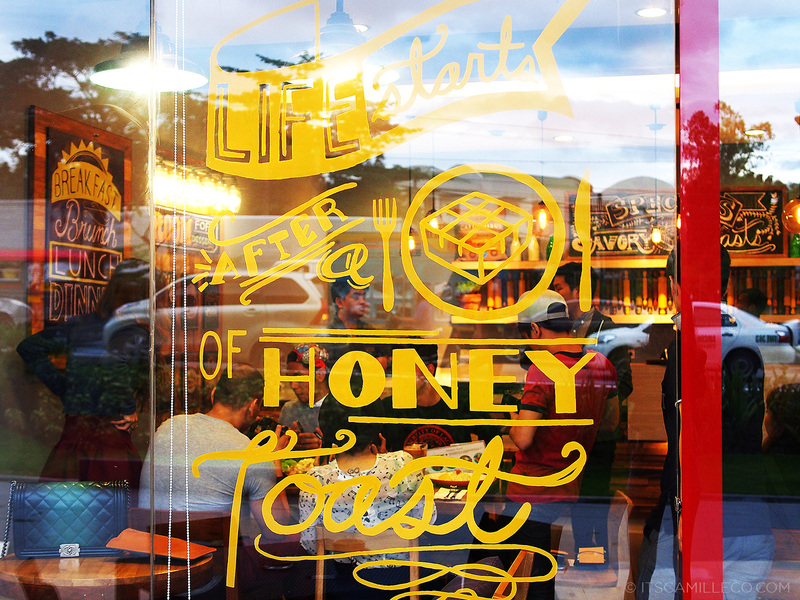 “Life starts after a serving of honey toast.” I can not agree more, especially now that I’ve tried one at Cafe Shibuya. You see, even if I’m no longer a college student at the Ateneo, that won’t stop me from trying out the best restaurants along Katipunan. After all, green isn’t a pretty color, (you all saw the Wicked Witch of The West, right?) so in order to get over my jealousy, I had to know what I was missing! 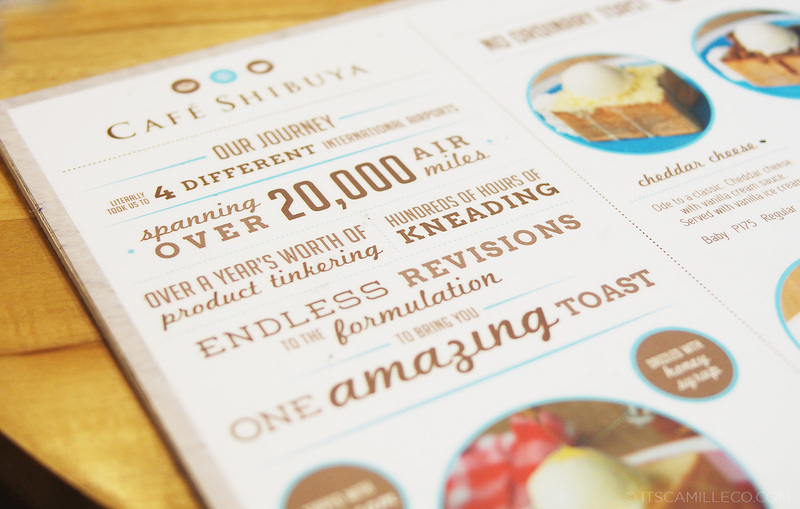 Cafe Shibuya boasts of their delightful dessert toasts and savory toasts, inspired by the popularity of Japan’s honey bread. 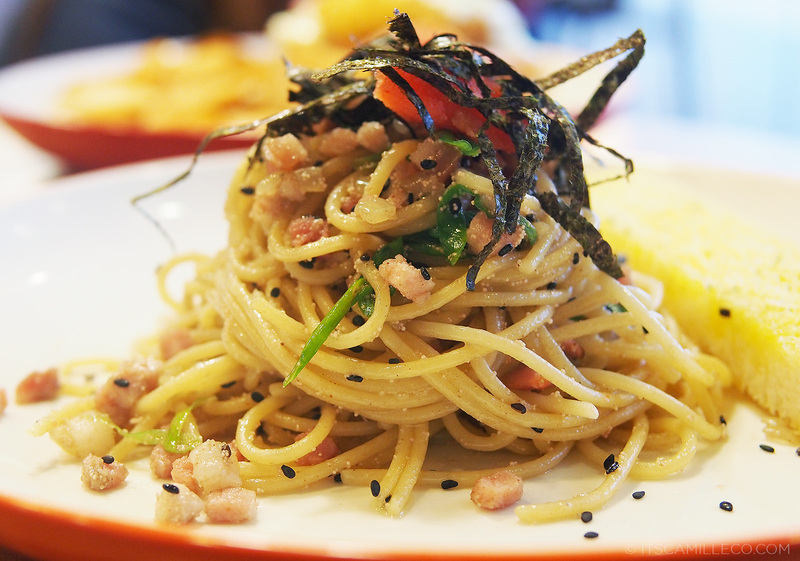 Aside from their toasts, they also offer Japanese-Italian fusion pastas, signature desserts and yummy drinks. Didn’t I say their drinks are yummy? 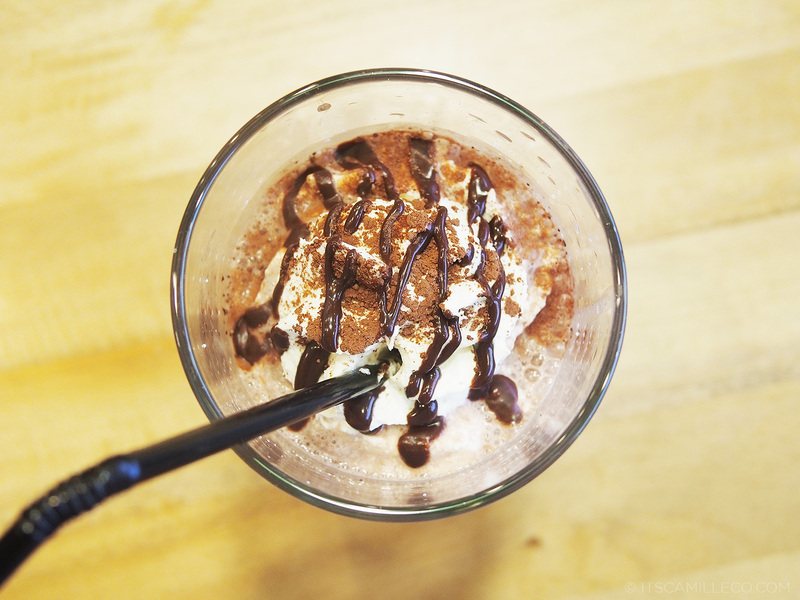 I ordered their best-selling Ghirardelli Below Zero Chocolate drink. I died and went to chocolate heaven! I had to stop myself from drinking all of it in one gulp! Else, I wouldn’t have any space left for all the other delectable dishes I ordered. 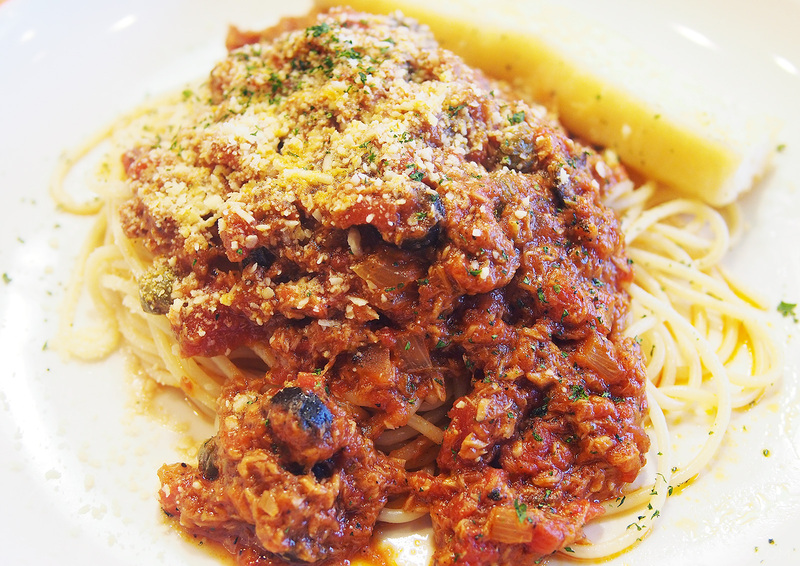 This is their spaghetti al tonno– a mix of tuna, capers and olives in tomato basil sauce. This is another best-seller, the Shibuya Benedict. 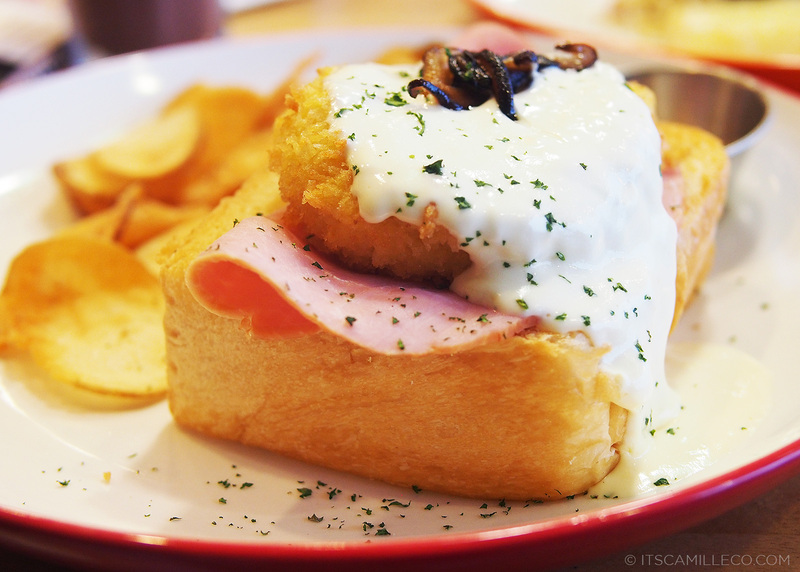 It’s a combination of farmer’s ham, deep-fried poached egg, shitake mushrooms and Cafe Shibuya’s homemade Japanese mayo cream sauce. It’s one hearty meal!! This is my favorite pasta, Mentaiko. It’s pasta with cod roe and olive oil. By far, one of the best Japanese-Italian fusion pastas I’ve ever tried. 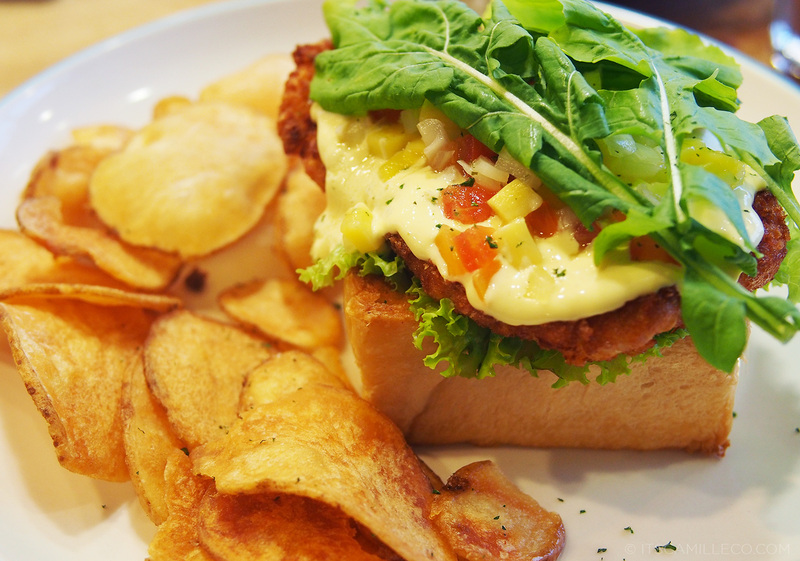 This is tonkatsu with mango mayo–another savory toast. I didn’t get to taste this but it looks as good as my Shibuya Benedict so I guess it’s safe to say, it tastes as good too. Besides, my friend Lissa who’s forever on a diet actually finished this so if it’s good enough for her to forego her diet, then it must be delicious! LOL! 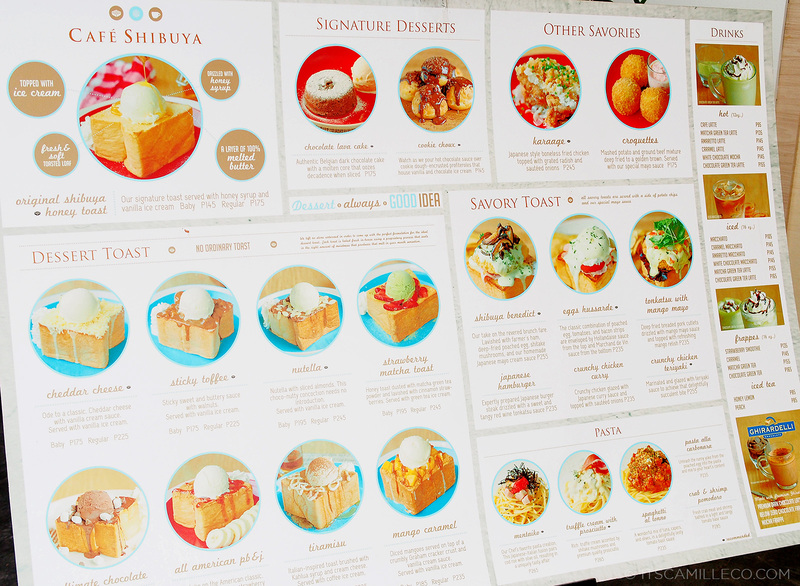 And last but not the least, the star of all of Cafe Shibuya’s dishes–their famous dessert toasts!! 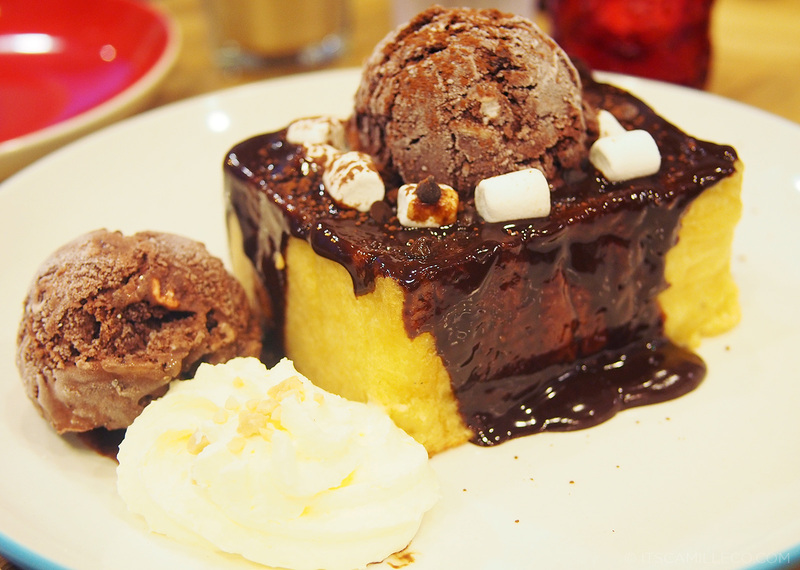 This one is the ultimate chocolate dessert toast. Take note, it’s the ULTIMATE so it’s all kinds of chocolatey goodness! 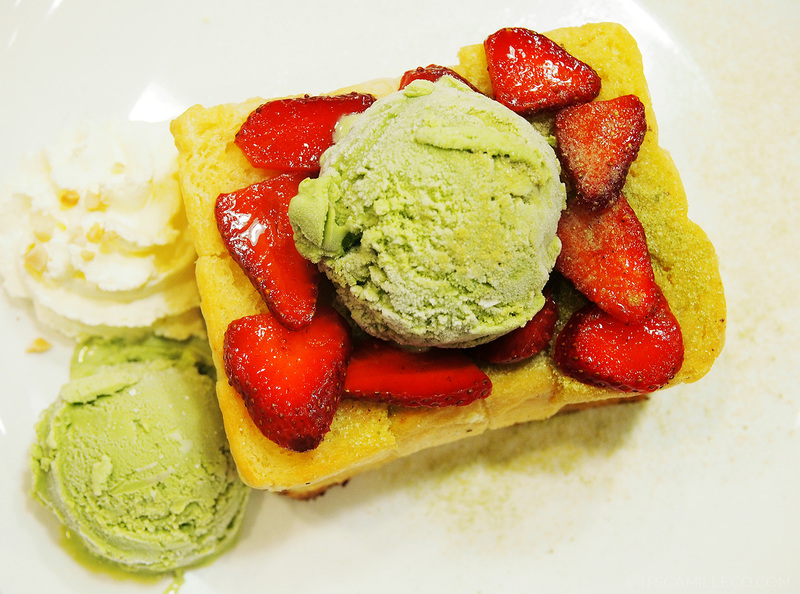 I got the strawberry matcha toast which isn’t only a delight to taste but is also visually beautiful. Look at its colors! You can never go wrong with strawberries + green tea. NEVER. Cafe Shibuya totally makes me want to become a food blogger. 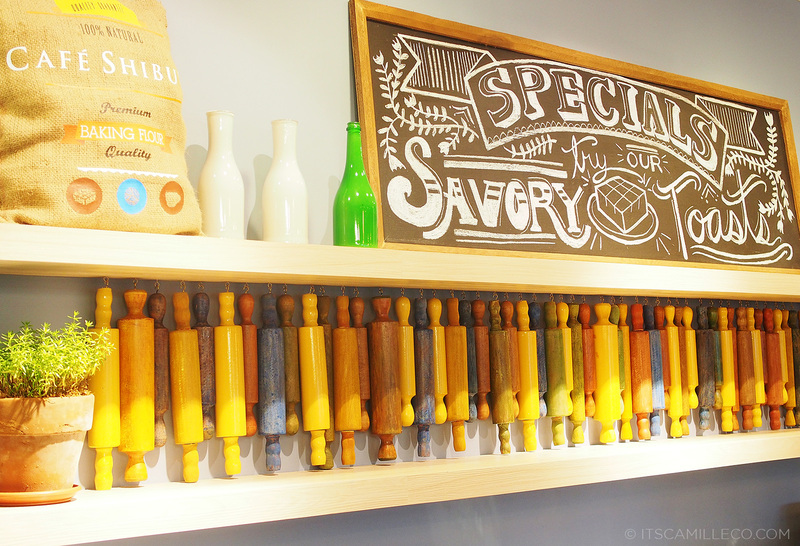 If you want to release your inner foodie like me and enjoy these scrumptious dishes, visit Cafe Shibuya at UP Town Center, Katipunan Avenue, Loyola Heights, Quezon City. 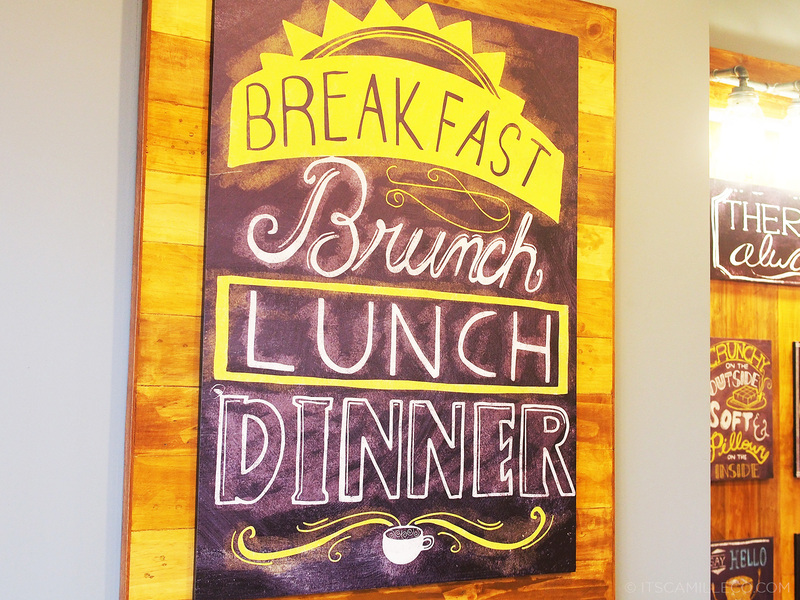 They’re open from 10 A.M. to 10 P.M. from Sundays to Thursdays and 10 A.M to 12 A.M. on Fridays and Saturdays. I like your jacket! Where’d you bought it? Oh! I hope you’re well now :) Who can resist food right? One of the best things to do is to eat haha! It’s my first time to visit your blog. And since I love Japan so much, this blogpost caught my attention. I love your blog to bits!!!! Liiieeesss, I’ve never seen that beautiful toast anywhere in Shibuya ;____; Everything looks so delicious and the interior is so nicely done up! How cool! She’s still dressed in the same outfit? I wish I got to take a photo with her! Tao lang! Okay lang yan basta nagkakaintindihan tayo haha! this post is nakakagutom HAHA!sarap pa naman ng japaneses food. Ahhh! No, no, no haha! I was pertaining to green on the face haha! So sorry! 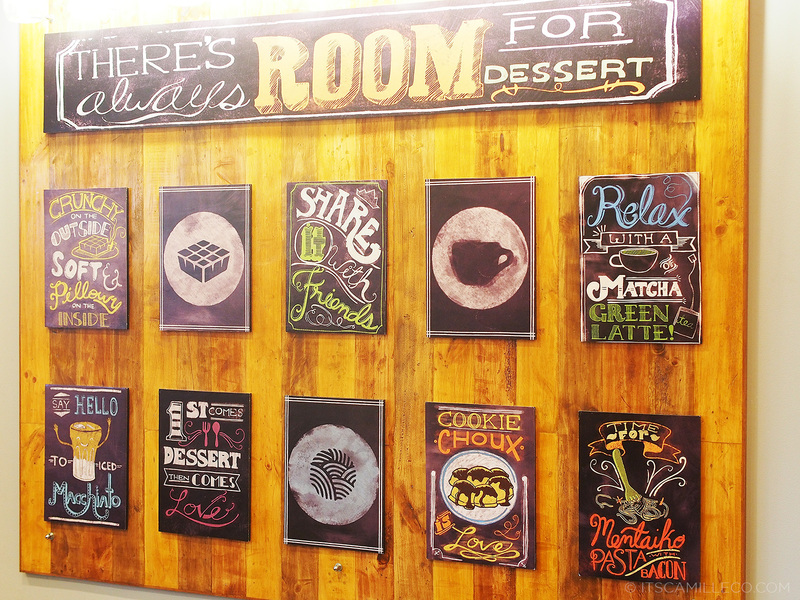 Napa-TL nman akoooo….. as i believe everything you say– one of these days, pag naligaw ako sa alma mater ko — (Macaroons ako hehe).. will be sure to try these out. Salamat sa ‘yo! Haha! You should visit!!! :) So many food options! Green tea and strawberries… I nearly died of envy when I saw that delectable photo! I can see your Chanel right behind the window :P So classy. I hope you don’t mind me asking, what camera are you using? Do you always have a big DSLR with you or do you use a point and shoot cam? I’m inside the classroom now and decided to read your blog because my professor is boring . Hahaha!! I wanna cut class and try the food! Hmmmm .. Ikaw lang kumain lahat ng food?! Hehe! Wow! If only I can take those desserts from the screen. Hahaha. Thank you Fifi! :) Haha! I made you hungry!! 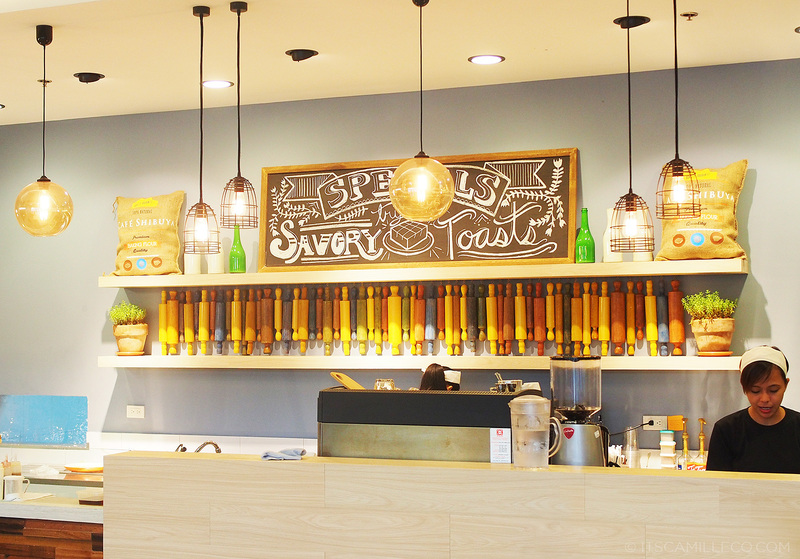 I haven’t tried Cafe Bene though. Life is truly unfair haha!